It's Caleb's monthly birthday time again - a bit late to blogging about it, but better late than never. On February 2nd, he turned 13 months old. Being one year old was sooo last month. ;) I don't even know if I can call him a baby anymore. Waaahhh. He's really in an in-between stage of baby and toddler. I'm inventing a new word: baddler! Eh, sounds like bald, and he's no longer bald. Definitely growing hair these days. Let's just say he's a baby still, okay? No more stickers, but we still have the blocks. I have the one photo there to show off his hair and the cute little curl thing he has going. You can see a fun new game he's made called "crawl over the dog" (or under works, too). His 12th month of life was full of new things. He is soooo close to walking now. He uses his walkers and practically runs around the house with hit. He needs to work on steering a bit, though. I love to watch him sleep; he's just so peaceful. And I can really look at him as it's the only time he is still. The smiles are the best, though. Oh lordy, they melt my heart. He also started doing this funny thing with his lips one day, which was completely hilarious. Guess what?! He likes frozen yogurt!! Yay! 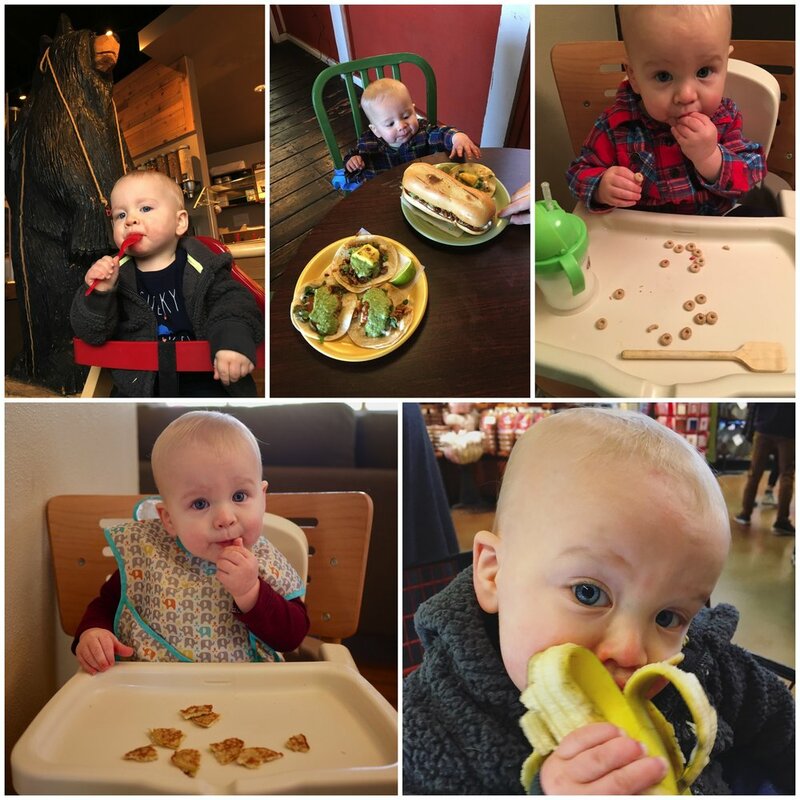 He is eating way more things now, it's awesome. There he is having a wee little taste with a red spoon at Black Bear. He's a funny, little eater. He only likes his food room temperature or cold. The face he gives when the food is hot is like "OMG, it's fire!" Oh, and bananas are acceptable now and he'll eat it as a whole banana. I found this out at Metropolitan Market. They have free fruit for kids while you shop and I grabbed a banana. He ate it all up! Caleb does. not. stop. ever. One of the most common observations from others is how fast he is at crawling. Ohhh, I know it. I sure do 'cuz guess who's chasing him. You got it. He's discovered the fun of pulling tissues out of the box and grabbing the toilet paper. He likes to stuff things into shoes as well. He's also been seen grabbing two car toys - one in each hand - and wheeling them around the house. He sure loves his daddy. There are lots of giggles and fun with dad. He looks out the front window when Josh leaves for work, which is adorable. Notice no smile on the carousel. He did start to smile when it moved. He loves to move it move it. As I've said earlier, he sure likes to move. We have a path through the house for him to walk around with his baby walkers. It's the first thing he likes to do in the morning and the last thing before bed. He has an obsession with strollers, too (really anything with wheels that he can push). He'll grab the stroller and push it around. I've let him do this at the grocery store with the cart as well and he gets the biggest kick out of it. He just goes and goes and goes. And I'm sure he could win a race with his speed crawl. But you can see, sometimes he wants to be picked up. But it's not because he wants to be near mom or dad, but rather he wants to see what's happening from higher up. And now such a big boy in his convertible car seat. Bye bye baby car seat. I'm a big boy now! We have added the Children's Museum of Tacoma into our weekly routine. He has such a blast there. 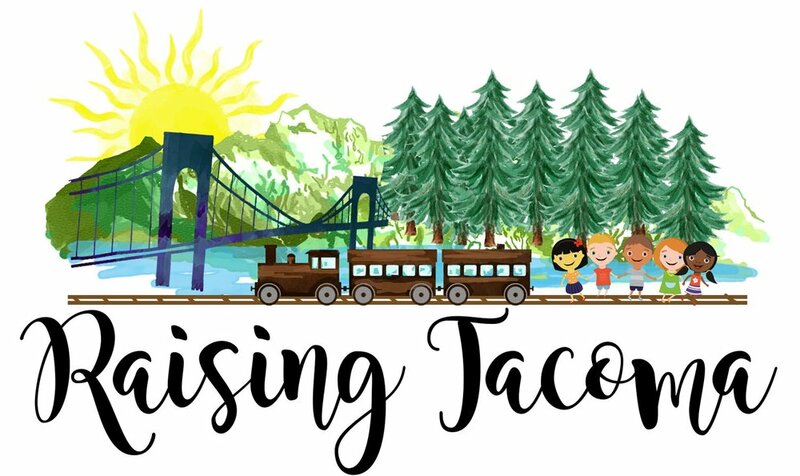 Other fun destinations are the Point Defiance Zoo & Aquarium, the park, and the coffee shop that has a great kids play area. It's pretty amazing to watch him learn and grow. We love this little guy!